Q: What are the current online numbers? What are the dynamics of active players over the last year? A: Looking at the global online, it’s at roughly 1,5 million users. Varies depending on season. Of course, a huge part are players from CIS and Eastern Europe, also China. The dynamics are positive despite the age of the project. Growth is to be seen in Asia. Q: What is the target audience of the game in regard of the age? The target audience are males (around 97%) aged 25 to 45. The audience in comparison to other games is quite adult and involved. Many regard the project as more than just a game. “Tanks” are a hobby on par with soccer, fishing. It’s not shameful to talk about the game with colleagues, friends. 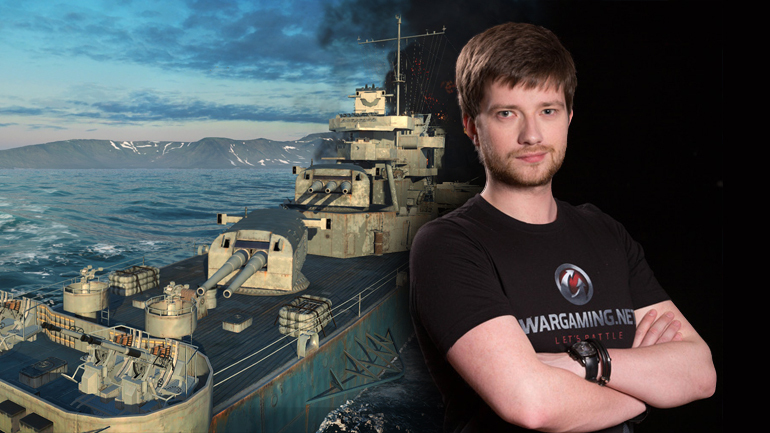 Q: There were rumours among players that World of Tanks could become monthly subscription based. Are these rumours based on something or was this never regarded? A: Monthly subscription is not planned. One of the core principles of WoT is accessibility. Q: Fans of the game like WoT branded products. Are there plans of cooperation with (not only) computer brands? A: Of course, we are constantly in talks with many potential partners. We’re interested in development in this direction: broadening the spectrum of available products as well as the ease of buying and delivering it. Q: Is the support of a fixed exchange rate still planned on the level of 20 hryvnia (TN: Ukrainian currency) to 1 dollar? Or will there be a switch to a variable exchange rate? A: This depends on the economical situation. We understand that in an unstable macroeconomic situation it is too early to return to a variable rate. Q: What is the planned time frame for the Sandbox server? When is it planned to be closed? A: The launch of Sandbox was on the 16 June 2016. It will definitely exist during the balance testing. If the players like such a solution, the Sandbox will exist further to test new prototypes and functions. Q: Can you reveal the question on which criteria the success of Sandbox is measured? Polls, player feedback, expert evaluation by colleagues? Who will have the last say in the final result? A: We do understand the importance and complexity of the task we have to perform. Not many in our industry dared to prepare such changes to a live project, and even if they did, it usually ended not very well. All factors will be taken into account – server statistics, player feedback, our own experience. We can’t say that someone will have the final word – it will be an aggregate of all factors. If the data will be contradictory – we’ll ask the players again. It’s a game made for them. Q: Will all changes be implemented in one patch or will some solutions from Sandbox come earlier than others? A: The plans are currently to implement functions which are ready and which can be implemented by themselves. For example, if we see that the new artillery or matchmaker is well received, it could be implemented before the whole balance. Of course, roles of vehicles, rebalance of all characteristics will have to be implemented at once, it wouldn’t work otherwise. Q: Will the class system of the vehicles be changed? Or will the 5 classes remain? A: The classes will remain, but will be augmented by roles, so the player clearly understands his task. Q: Currently, the hard cap on artillery is 5 pieces. Why is it not changed to 3? This would ease the pain of other players due to excess artillery. A: We’ll test different variants on Sandbox, including the limit of 3 artillery pieces per team. Q: A similar question about other classes. For example, the presence of 10 TD’s in one battle cuts any initiative in the battle off, any tank going forward would be slaughtered. Are there limits in the balancer, and if not, can they be set? For example, prohibit having more than 5 tanks of one type in the team? Q: Many streamers complain that the possibility to read a player’s statistics with XVM in battle harms the game. The team either focuses on destroying the most skilled player or sticks in a corner upon seeing the enemy advantage. Is disabling of such a function planned? Q:Tank football was well received. Will it remain permanently? Q: There is a bug in football where the players continue the game after a goal from their current positions instead of the initial position. Will this be fixed? Q: Is it possible to completely disable team kills? The shooting of inadequate people on own tanks at the start of the match annoys greatly. Would it be better to cause damage to the one who shoots? Or not allow any damage – not from shooting or ramming allies.